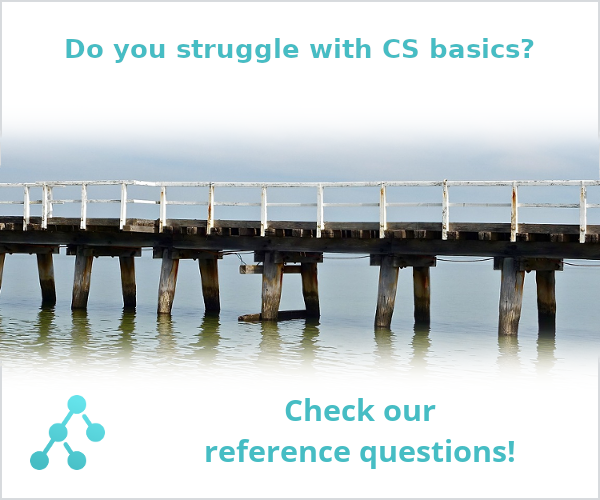 Why would anyone want CISC? In our computer systems lecture we were introduced to the MIPS processor. It was (re)developed over the course of the term and has in fact been quite easy to understand. It uses a RISC design, that is its elementary commands are regularly encoded and there are only few of them in order to keep the wires simple. It was mentioned that CISC follows a different philosophy. I looked briefly at the x86 instruction set and was shocked. I can not image how anyone would want to build a processor that uses so complex a command set! So I figure there have to be good arguments why large portions of the processor market use CISC architectures. What are they? There is a general historical trend. In the olden days, memories were small, and so programs were perforce small. Also, compilers were not very smart, and many programs were written in assembler, so it was considered a good thing to be able to write a program using few instructions. Instruction pipelines were simple, and processors grabbed one instruction at a time to execute it. The machinery inside the processor was quite complex anyway; decoding instructions was not felt to be much of a burden. In the 1970s, CPU and compiler designers realized that having such complex instructions was not so helpful after all. It was difficult to design processors in which those instructions were really efficient, and it was difficult to design compilers that really took advantage of these instructions. Chip area and compiler complexity was better spent on more generic pursuits such as more general-purpose registers. The Wikipedia article on RISC explains this in more detail. MIPS is the ultimate RISC architecture, which is why it's taught so often. The x86 family is a bit different. It was originally a CISC architecture meant for systems with very small memory (no room for large instructions), and has undergone many successive versions. Today's x86 instruction set is not only complicated because it's CISC, but because it's really a 8088 with a 80386 with a Pentium possibly with an x86_64 processor. In today's world, RISC and CISC are no longer the black-and-white distinction they might have been once. Most CPU architectures have evolved to different shades of grey. On the RISC side, some modern MIPS variants have added multiplication and division instructions, with a non-uniform encoding. ARM processors have become more complex: many of them have a 16-bit instruction set called Thumb in addition to the “original” 32-bit instructions, not to mention Jazelle to execute JVM instructions on the CPU. Modern ARM processors also have SIMD instructions for multimedia applications: some complex instructions do pay after all. On the CISC side, all recent processors are to some extent RISC inside. They have microcode to define all these complex macro instructions. The sheer complexity of the processor makes the design of each model take several years, even with a RISC design, what with the large number of components, with pipelining and predictive execution and whatnot. So why do the fastest processors remain CISC outside? Part of it, in the case of the x86 (32-bit and 64-bit) family, is historical compatibility. But that's not the whole of it. In the early 2000s, Intel tried pushing the Itanium architecture. Itanium is an extreme case of complex instructions (not really CISC, though: its design has been dubbed EPIC). It even does away with the old-fashioned idea of executing instructions in sequence: all instructions are executed in parallel until the next barrier. One of the reasons Itanium didn't take is that nobody, whether at Intel or elsewhere, could write a decent compiler for it. Now a good old mostly-sequential processor like x86_64, that's something we understand. The x86 instruction set is a bit of a special case. I think that Motorola's 68K and DEC's VAX are somewhat better examples of CISC. In the days of a lot of assembly-language code, people thought that a very regular, very inclusive ISA was better: I believe they called the difference between assembly code and the way people thought the "Semantic Gap". Theoretically, you wanted an instruction set that matched the way you thought. The other big design driver for CISC seems to be "orthogonality": every instruction would work with every addressing mode (register, absolute address, relative offset, etc etc). You can see the bogey man of orthogonality show up in API design in Distributed Computing Environment (DCE) and in CORBA. That idea isn't limited to instruction set design. The real advantage of CISC is reduced memory and cache pressure and that alone makes it better for demanding high performance applications since a major bottleneck in such systems is the memory bandwidth. Given equally sized cache memory, CISC processors can describe more information than RISC. Also, since CISC instructions involve several micro-operations, architectural improvements may be possible that may provide the fastest execution path for that instruction that writing out individual instructions could ever provide. In short, CISC processors are more efficient at utilizing memory bandwidth which often translates to performance gains for memory intensive applications. and as such requires 16-bytes of space. which takes only 12 bytes of memory. Thus, memory utilization is improved allowing the processor to see more instructions and thus reduce idle cycles. An important aspect that no one has brought up thus is that almost all CISC CPUs are microcoded architectures. A microsequencer and a control store consume far less real estate than a hardwired controller, and the instruction set can be modified without modifying the hardware. Microprocessors were novelty devices when I entered the field. A very common practice back in the seventies and early eighties was to assemble a CPU using bit-slice ALUs, a microsequencer-based control unit, and a control store into which the microcoded instruction set was either loaded or blown. These computers were based on 7400 series transistor-transistor logic (TTL). The 78181 4-bit ALU was used to construct a lot of processors, including the DEC PDP-11 and early VAX 11 computers, the Data General Nova, Xerox Alto, and the Wang desktop computer. You will have a hard time finding any desktop computer that isn't using an x86 compatible processor. That instruction set has beaten MIPS, it has beaten Sparc, it has beaten Alpha, it has beaten Titanic (I may have spelled that name wrong). MIPS on the other hand is barely existing today. So no matter what you think today, very clever people thought that the x86 instruction set was a really good idea, and they have made a ton of money with it. Computers started as RISC because a complex instruction set was just beyond the abilities of implementors. If you want to see a RISC instruction set, look at the CDC 6400-6600 and CDC Cyber 170-175 instruction set. That's proper RISC. About 10 years ago I asked some chip designers how much space that would require (in the corner of a reasonable advanced GPU chip). They told me about 1mm2 - including the machine's RAM, which would take 99% of that space. When people could build CISC machines, they were actually at an advantage. Remember that x86 was released long before MIPS, 1978 vs. 1985. At that time you needed processor cycles for reading instructions, decoding them, performing them. MIPS in 1978 would have taken four cycles per instruction, and per operation. If you take an x86 instruction like "add register to memory", that would take maybe 7 cycles for the instruction, but performing 3 operations. That was a major advantage. And the more different instructions you have, and the more powerful each instruction, the greater the advantage. And when the x86 64 bit instruction set with its nightmarish prefix codes was developed, the complexity of the instruction set didn't matter anymore. CISC nowadays is just translated into RISC, and the whole translation business is maybe one percent of the chip. This question has a lot to do with very recent trends in computing that favor a massive shift to mobile and tablet computing, thereby favoring RISC cpus, and has caught Intel (probably worlds largest CISC purveyor) at a disadvantage in a so-called "inflection point" exactly like the kind Grove drew attention to and warned of. The short story is that CISC seems to be starting to melt away under the massive paradigm-shifting/gamechanging onslaught of mobile computing because of its apparently intrinsically high energy consumption. A factor not mentioned in other answers is economic. It is also about Intel. The CISC architecture is largely represented by the x86 and x64 families. These all descend from the humble 8088 used in the original IBM PC. The early market dominance of that series of computers meant that Intel had a solid revenue stream for R&D. Coupled with the fact that Intel was able to curb competition by reneging on/canceling it's second source agreements meant the CPU prices could rise to extreme levels ensure very rich gross profit margins. I recall pundits of that era announcing that the RISC vs CISC war was over and CISC had won. It had not. It just outspent everybody else. Can this dynamic ever change? It already is. No economic advantage is absolute. The one Achilles heel of the x86 is it's voracious appetite for power. This has allowed a smaller, more nimble competitor (ARM) to thrive in markets (like phones/tablets/etc) where energy thriftiness mattered. The second problem for x86 is the success of Intel's strategy. They managed to eliminate almost all competition. They slowed down. For years now, new Intel processors have delivered only very modest improvements. Worse still, super rich margins are a tough diet to give up for any corporation. Simply before there were Reduced Instruction Set Configurations there were Instruction Set Configurations. They have their applications. particularly in very large memory block transfers with high capacity chipsets, which would only need 4-16 bytes to transfer an entire video page, instead of an long for ever loop. that is changing and RISC is becoming the status quo as chip sets are becoming more sophisticated, like the incredible GPU's found in the high end video cards. CISC cpu has more advantages than RISC. Because CISC use less hardware register and XNOR/XOR gates than RISC many times!!!! Imagine the instruction bytes in CISC will be executed-sequence, there is only one logic gate and register is used. If 1 bilion transistors can produce about 300 million logic gates, so you can process 300 milion operators or processes (IF, equal, mathematic, variable, addressing... etc) and more program can run in CISC. But in RISC, it takes dozen times of logic gates for running a program in pipelined design. So 300 milion x 50 times (50 instructions) + 15000000000 bit counters!!! in so-called RISC. CISC use more hardware to reduce software algothrim which slow down the cpu. Not the answer you're looking for? Browse other questions tagged computer-architecture or ask your own question. Is a 2 address machine more likely to follow a RISC or CISC design? How would physical neural nets learn? CISC, RISC and anything else? What are some of these “high-level” instructions found in CISC architectures? Difference between the way RISC and CISC handles interrupts? Why RAID 2 would ever be used instead of RAID 3? What would be the appropriate learning path given these circumstances?